The Tales, always fair and balanced, likes to give every presidential candidate a chance at making their case to be the next president of the United States. But when you read this resume of Bernie Sanders, I don't see how any true conservative Republican can support his guy. * This guy isn't for shrinking the federal government but increasing it. * This guy thinks the rich aren't paying their fair share and wants to increase taxes on them. * This guy wants to make deals with the far left Democrats, thinking he can work well with them. 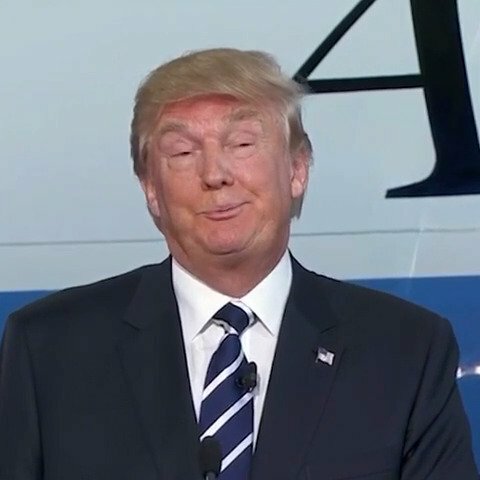 * This guy does not want to tear up the Iran deal, like the Republican candidates do, but thinks that he can work with Iran to improve the deal. * This guy has never shown any interest or concern in trying to bring the national debt under control. Have you heard him mention it in any speech? * This guy excused Bill Clinton's unfaithfulness to his wife, saying it was no big deal and he lambasted the Republicans for trying to impeach Bill Clinton. * This guy said, not only shouldn't Bill Clinton have been impeached but that Nancy Pelosi should have brought impeachment charges against George W. Bush. * This guy said George W. Bush purposefully "lied" about weapons of mass destruction. * This guy has never talked about the importance of a constitutional government. [well what should I expect from a leftist]. * This guy actually thinks Oprah Winfrey would be a great running mate if he gets the nomination. * This guy thinks eminent domain is a "wonderful thing" and old ladies losing their decades held houses is actually good for them. * Although running against her now, this guy said in the past that Hillary Clinton would make a great president of the United States. * This leftist while praising Hillary Clinton, at the same time says he would have fired Condoleezza Rice when she was Secretary of State. * This guy while praising the military now [yeah right] said a few months ago that he respected the soldiers who didn't get caught more than the prisoners of war who did get caught, trying to explain why John McCain was not a war hero. Come on conservative Republicans. With that list I hope not one of you will even think about supporting that socialist, Bernie Sanders. There's no way you can support someone like that. Hold it. Wait a second. Well, now this is embarrassing. 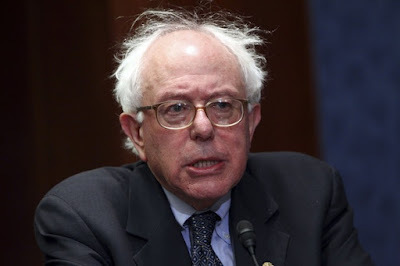 I have just been informed by the Tales law firm, Wee, Cheatem and Howe, that these statements and positions are not those of Bernie Sanders but of ... Donald Trump. Hmm. Well, I guess the question still remains for all conservative Republicans out there. Do you really want to support someone like that? Thanks big Harry! And I didn't make any of those up - he really did say them.